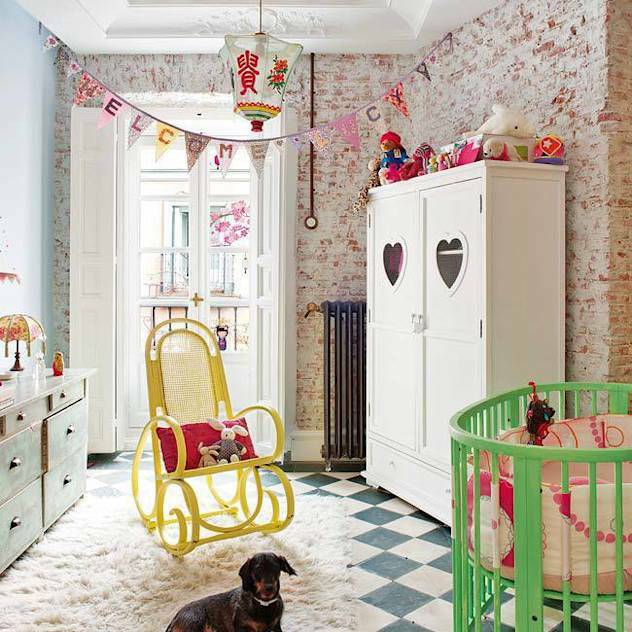 Joking aside, and a bit more specifically, this time round I've been thinking about redecorating the girls' bedrooms. They were the first rooms in the house to be finished when we moved here three years ago and now they are both showing signs of wear and tear and are definitely in need of a bit of work. I've actually been contemplating putting the girls in the same room at night and turning the extra bedroom into a play room. This is mainly because they like exactly the same things and I find myself having to buy two of pretty much everything! At the moment they are both after Miffy night lights, and at £130 each they are going to have to share! Indulging in a little light kids bedrooms interiors research is actually one of my favourite things to do, whether or not I'm actually planning on making any changes. It's such a minefield, and kids chop and change their mind about what they want ALL. THE. TIME. (Well mine do anyway). For this reason I've decided that when I get round to re-painting the girls room(s - still undecided about sharing), the walls are going to be pure white, like a blank canvas - and then we can change and/or repaint the furniture and accessories quickly, cheaply and easily in the future to update it. White paint makes rooms seem much brighter and more spacious - and white walls are so easy to touch up if they receive any knocks, scratches or crayon marks like kids bedrooms have a tendency to! 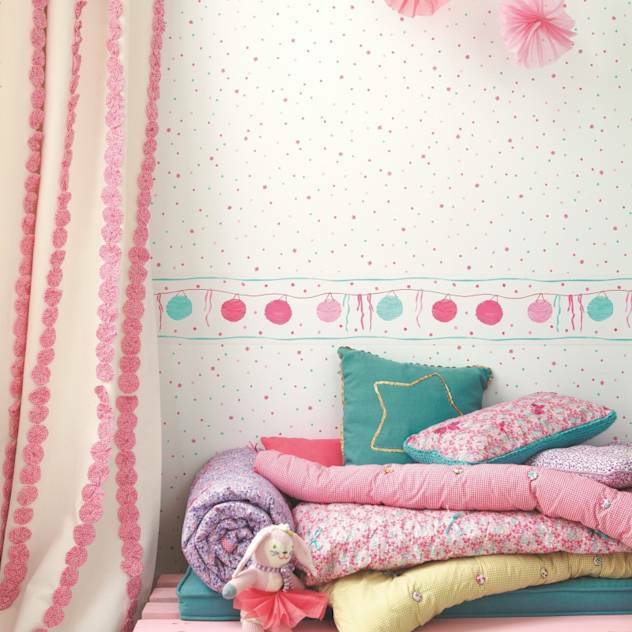 I love the clashing prints of the bedlinen and the simple wallpaper and border! The lights! The toadstool stools! The bright, white walls! 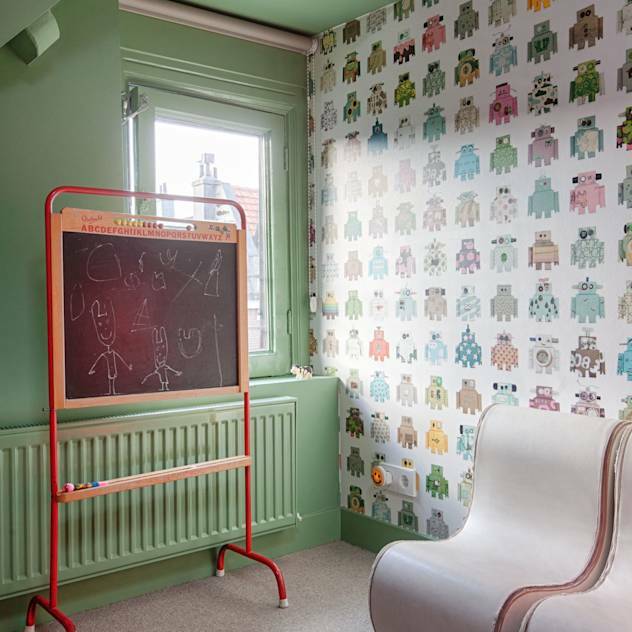 I LOVE the robot wallpaper but we spent so so long removing the old owners wallpaper I'm hesitant to ever put more up! My son has removable (in theory) stickers on his wall! Lovely ideas! I love the bright colours!